The Pebble Brush - A Holiday Hero! with Kent Professional Makeup Brushes! 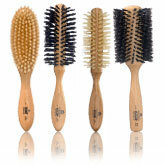 A range of pure bristle brushes with beech wood handles, economically designed to provide bristle hair care for everyone. Everything you need to create salon-perfect hair in one place! Create beautiful bouncy blow dry's, up-do's and much much more with Kent Salon Styling hair products. 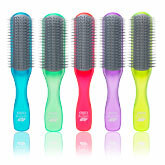 This brush is perfect for all the family, whether in the home, handbag or sports bag. The brushes all provide the same abilities but with added colours and different sized brushes. 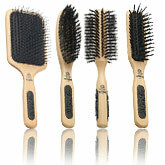 Kent Brushes AirHedz detangle and tame your hair using utilising technology suitable for all hair types. Baby brushes from Kent are made from the finest, softest bristles to provide a life-time of good grooming. Kent combs are hand polished and saw cut, which will prevent damage, breakage, splitting and scalp abrasions. Treat your hair to the very finest care with these hand finished, natural bristle hair brushes from Kent. Experience real quality when grooming with Kent hair brushes and shaving brushes. Kent Twelve Make-Up Brushes are a range of individually crafted cosmetics brushes designed for optimum professional results. 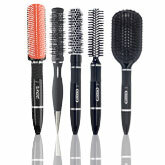 View all Kent Brushes in one place. 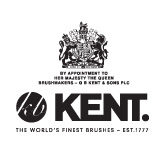 Founded in 1777 Kent Brushes hold the title as the oldest hair brush manufacturer. 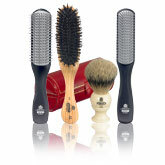 Kents brushes for hair proud themselves in providing only the highest quality service and haircare expertise. Due to providing people brushes for over 230 years, Kent Brushes offers a rather impressive range of brushes, for every type of need, from styling to detangling, smoothing to blow drying. Kent offer brushes which are perfect for everyone, even one soft enough to use on a baby, making it the perfect all around brand for the family! Kent also offer brushes to use with makeup as well they offer a smaller range of high-end makeup brushes with a very desirable price tag! Kent are very particular about the materials used, especially their bristles. They only use the finest bristle merchants in India and China where they believe quality is guaranteed. Timbers are sourced from forests around the world for their beauty, colour, grain and much more. Rubber cushions are used for durability but also to be soft enough for the most sensitive scalps. 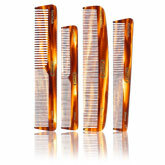 Plastic quills glide through hair whilst detangling, without pulling or tugging thanks to the rounded ends. Kent have been supplying stores such as John Lewis, Selfridges, Harrods, Fortnum and Mason along with leading chemists in the UK for over 200 years. Kent are the perfect choice for salon and retail. 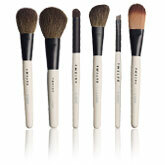 Kent Pebble Brushes – These brushes are designed to be the perfect on the go product! This go to brush is small enough for you to have it in your handbag. 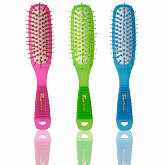 With these brushes coming in a range of different colours there is the perfect travel brush for everyone! 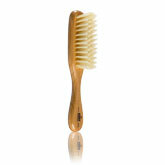 Kent Medium Ceramic Round Brush KS30 – This brush is a 30mm, ceramic coated radical brush with a heat retaining core. The ceramic coating makes sure that the brush absorbs heat to help speed up drying time, making it perfect for styling.